Our Catholic faith is infused into each part of our curriculum. We are constantly reminded to share the mission of Jesus. We start each day with a school prayer and a student-written prayer. A prayer labyrinth was constructed on our campus for classes to use for prayer. Our school community gathers each Wednesday morning with our pastor, Fr. Jesse, for morning Mass. We also celebrate special Masses at Thanksgiving, St. Francis Day, Advent, Catholic Schools Week, Feast of St. Joseph, Volunteer Day, Graduation, and our End of the Year Mass. Numerous prayer services and student and faculty retreats are held throughout the year. A May Crowning Mass and Living Rosary is held each spring, as well as Stations of the Cross during Lent. 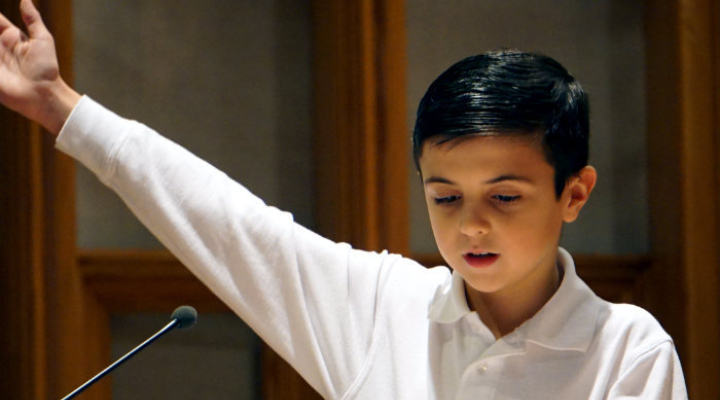 Each special Mass and prayer service is prepared by students in a rotation grade basis. Students have the opportunity to serve in the student choir or as altar servers, gift bearers, lectors, or ushers at our school Masses. Sacramental preparation for First Holy Communion, Reconciliation, and Confirmation is provided in collaboration with our parish Religious Education program. The Rite of Christian Initiation for Adults (RCIA) is also available at the parish for those who are interested in joining the Catholic Church.